This model is for specialized institutions such as libraries, museums, research facilities, and government agencies so at the time of purchase, it is necessary to conclude a PENTAX 645Z IR usage agreement stipulating usage terms. This model is not sold to general customers for the purpose of use by individual persons. A photographic system for both infrared and visible light. Bringing new perspectives and speed to research and analysis, a single camera now provides both superior image quality and portability. 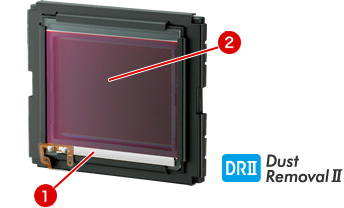 Ordinary digital cameras are designed with an infrared absorbing filter in front of the image sensor so they are only sensitive to the visible light spectrum. However, by replacing the infrared absorbing filter with clear glass that passes infrared light, we have given the PENTAX 645Z IR special specifications that widen its sensitivity to include infrared light. In addition, placing a IR filter in front of the lens has made it possible to do special effects photography using only infrared light. Infrared light passes through, for example, the paint of a painting on canvas, the pigments of a wall painting, and the surface stains of documents so you can discover sketches and other marks which may be underneath. It can be effectively used in the analysis of a wide range of materials. 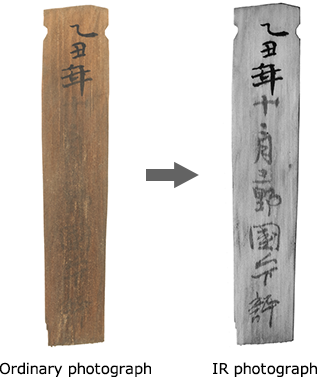 Particularly suited to the viewing of sumie ink and other carbon components, it will clearly bring out characters that are difficult to discern on wood-strip where surface deterioration has occurred. The PENTAX 645Z IR features a wide range of infrared sensitivity, covering from the visible light spectrum up to about 1,100 nm. The focal point of infrared light differs from that of visible light so great skill is required to do infrared light photography using a optical viewfinder in which only visible light can be checked. Installing Live View function has made it possible for the PENTAX 645Z IR to take photographs while checking the infrared light focus. The magnified display (max. 16x) enables extremely accurate focusing. In addition, with approx. 1,037,000 dots, the large, high-definition 3.2 inch monitor (aspect ratio 3:2) makes it easy to shoot at both low and high angles. The front panel uses highly durable reinforced glass, the air-gapless construction effectively suppresses reflections by eliminating air layers between LCD surfaces, and there is an AR (Anti-Reflection) coating to reduce reflection. With the resulting substantial increase in visibility, the PENTAX 645Z IR is also an excellent choice for research photography. By mounting an IR cut filter (option) on the front of the lens, it is possible to do visible light photography at almost the same level as with a standard PENTAX 645Z. Then, by switching to the IR filter while leaving everything else the same, you can shoot and compare both infrared and visible light images without changing the framing or angle. 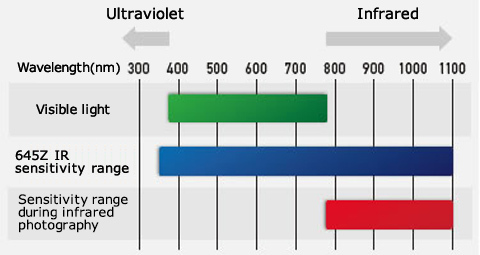 The PENTAX 645Z IR has a wide CMOS sensitivity range that can handle the wavelengths of a wide infrared spectrum. The wavelengths photographed can be controlled using commercially available IR filters. Enabling non-destructive analysis having almost no impact on the photographed object, this is a camera perfect for analysis and research photography. 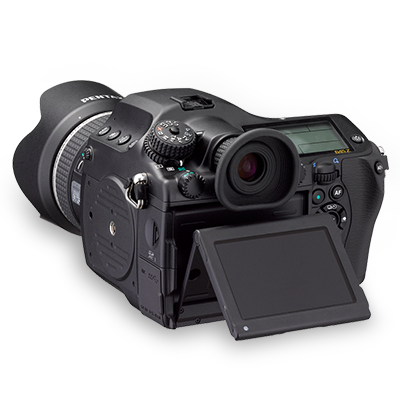 The PENTAX 645Z IR boasts a large, high resolution 43.8 x 32.8mm CMOS sensor, the PRIME III image processing engine, and a structure that does not include anti-aliasing filter. 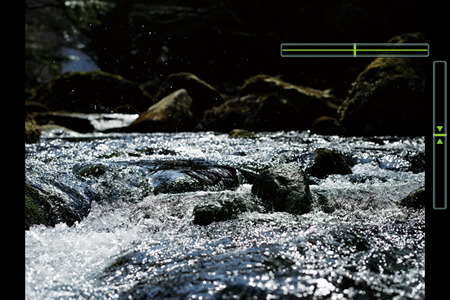 Together these features achieve the ultra-high-resolution possible with approx. 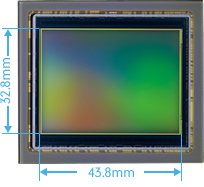 51.4 effective megapixels of superior resolving power and depth rendition performance. 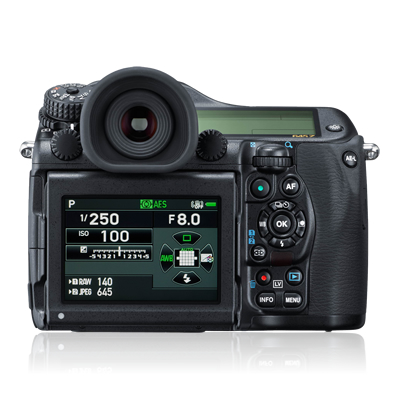 In addition, the noise that occurs in high-sensitivity photography is thoroughly suppressed, and high-sensitivity photography with an maximum ISO 204800 is possible so you can clearly capture the finest details of the subject materials. 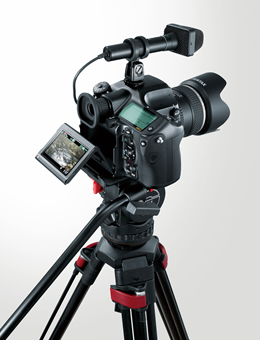 The camera exterior and back LCD monitor frame are made of lightweight and high-strength magnesium alloy, and the chassis is made of die-cast aluminum, which gives a high level of operation precision and resistance to the effects of temperature changes. In addition, strength is further increased by using scratch-resistant reinforced glass for the top- and back-surface LCD covers. Reliability is enhanced with dustproof and weather-resistant construction incorporating sealing in 76 places, with cold-resistant operation performance down to -10°C, and with a shutter mechanism featuring greatly increased durability that has passed a 10,000-repetition operation test. 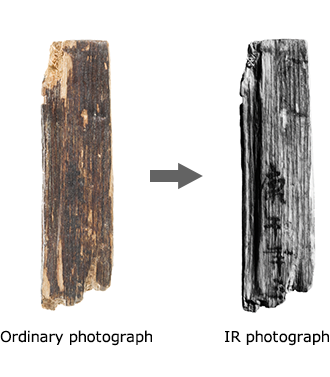 As a result, the PENTAX 645Z IR can greatly contribute to operation flexibility and research efficiency by handling tasks in a variety of environments, including excavation-find onsite analysis as well as the recording and study of wall paintings in caves and archeological sites. *During use of the D FA645 and DA645 lenses, which feature dustproof and weather-resistant construction. 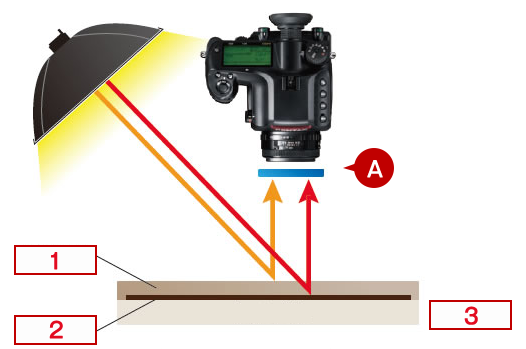 When photographing with a standard tripod and rotating the pan-tilt head to switch between horizontal and vertical shooting, the composition centering can shift greatly. 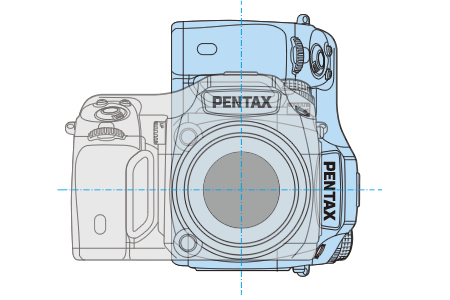 By using the vertical-shooting tripod socket on the side of the body, the PENTAX 645Z IR can shoot vertically without changing the lens optical axis. This facilitates smooth photography and study by eliminating bother and time loss caused by minute camera position adjustments. Detecting and displaying both vertical and horizontal inclination, the electronic level is especially useful when reference points are unclear. 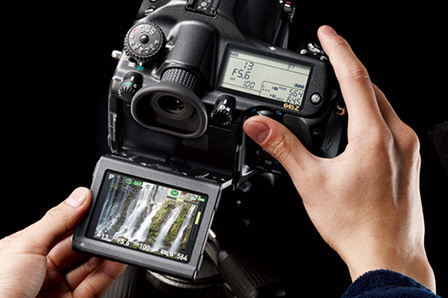 The viewfinder exposure bar display can also be switched to the electronic level (horizontal only). This is convenient for simultaneously adjusting both composition and camera inclination while continuing to look through the viewfinder. It is possible to shoot Full HD 1920 x 1080, 60i/30 movies using the H.264 recording format. You can smoothly shoot movies with backgrounds effectively blurred using the shallow depth of field characteristic of a large sensor. With FLUCARD FOR PENTAX 16GB “O-FCI” (optional), using a smartphone you can operate the shutter, display Live View, playback images, download files, etc. *Compatible with smartphones running iOS 6 and later and Android™ 4.2 and later. 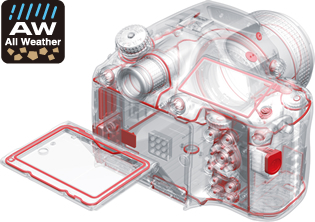 The PENTAX 645Z IR is equipped with DR (Dust Removal) II to avoid the problem of dust particles affecting photographs. Even clinging particles can be effectively removed by using a piezoelectric element for ultrasonic wave vibration of the cover glass on the front of the sensor. There is also a Dust Alert function that can check for the existence of clinging dust before shooting. This will increase your peace of mind when changing lenses in dusty outside environments and when shooting in historic remains. 1. Dual SD card slots are available for various uses (SDHC/SDXC UHS-I SDR104 compatible). 2. Copyright information can be added to images and image manipulation can be checked with the included software. 3. In addition to lens distortion correction and lateral chromatic aberration correction, peripheral illumination correction and diffraction correction are also possible. 4. Compatible with Wi-Fi internal memory card "Eye-Fi" link function. 5. External interfaces include USB 3.0 and HDMI® (Type D) terminals. 6. 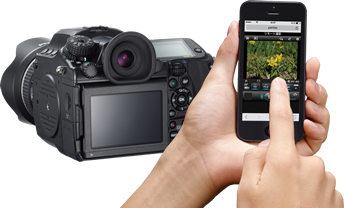 The included Digital Camera Utility 5 software enables high-speed image processing. 7. Compatible with IMAGE Transmitter 2 software for PC image transfer (optional; currently on sale). The PENTAX 645Z IR is a model for specialized institutions such as libraries, museums, research facilities, and government agencies so at the time of purchase, it is necessary to conclude a PENTAX 645Z IR usage agreement stipulating usage terms. This model is not sold to general customers for the purpose of use by individual persons.